YouTube/BeyonceSerena Williams danced with Queen Bey. 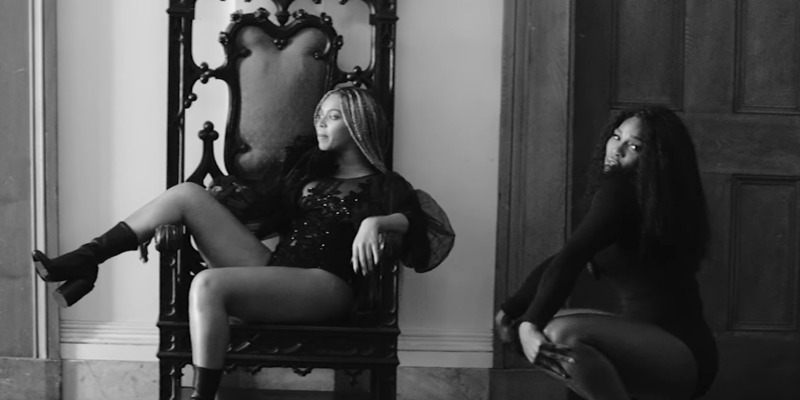 Beyoncé’s short film “Lemonade,” which accompanies the album of the same name, featured a ton of cameos from powerful women, and one of them was tennis star Serena Williams. Williams popped up during “Sorry” and danced and twerked alongside Queen Bey. She recently spoke with the Wall Street Journal Magazine about her cameo appearance. “I’ve known Bey for a long time,” she said. “Lemonade” was an incredibly secretive project, and Williams kept her cameo hidden for months. “If you tell me, ‘Don’t say anything,’ I won’t say anything,” Williams told the Magazine. Her friend and fellow competitor Caroline Wozniacki didn’t even know Williams was involved until she saw it.